November 11-19th was a week of reflection and community engagement as local agencies recognized National Hunger and Homelessness Awareness Week (HHAW). 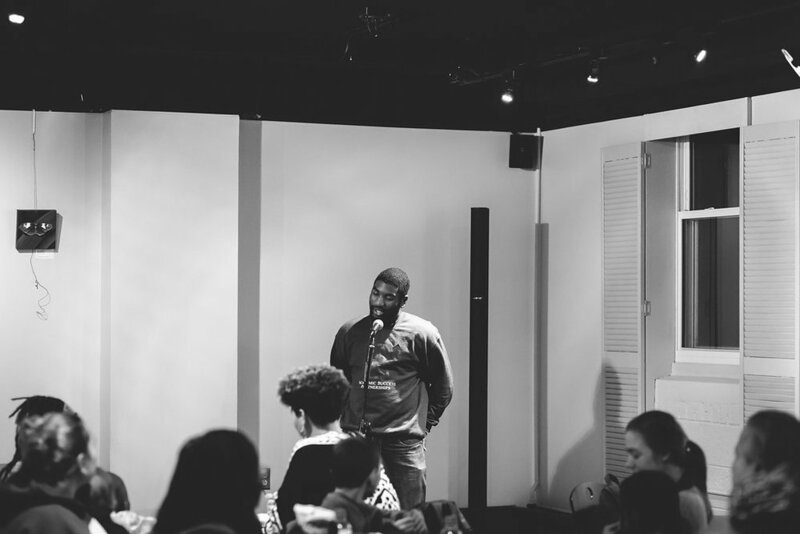 This year, the Washtenaw Housing Alliance hosted two separate community events in support of HHAW 2017: a film screening and a night of storytelling. @home Film Screening: On Wednesday, November 15th, WHA hosted a screening of the film @home at Zingerman's Greyline event space in downtown Ann Arbor. The film follows formerly homeless, now turned homelessness advocate, Mark Horvath as he interviews and profiles individuals and families experiencing homelessness across the country. After the screening, WHA's Executive Director responded to audience member questions and led a group discussion on the issues of housing and homelessness in Washtenaw County. Voices of Homelessness Storytelling Event: Our second event took place on Friday, November 17th, at The Common Cup in Ann Arbor. Ten speakers from Avalon Housing, Michigan Ability Partners, Ozone House, Eastern Michigan University and Groundcover News shared stories about their lived experiences with homelessness. The well-attended event highlighted our county's urgent need for affordable housing and helped to humanize the issues of housing instability and homelessness within our community. A heartfelt thank you to all of the speakers (pictured below) for sharing their stories and a big thanks to both Avalon's VOCAL (Voices of Community Advocates and Leaders) program and Ozone House's SpeakOut program for their collaboration efforts! Finally, a very special thanks to both Zingerman's Greyline and The Common Cup Cafe for generously donating their spaces for our events!